Just as nature is changing all around us so are we. Our energy shifts through out the year which leads to natural shifts in our yoga practice. Sometimes we favour something powerful, dynamic, or maybe something new, or something quiet, peaceful and slow. After the busy months of the summer we begin to draw within. There can be a feeling of change in the air, I personally relate it to that back to school feeling. Work can become busy again after the summer months but perhaps our energy levels are a little lower. Autumn is the time when we start to draw inwards in preparation for Winter. The Indian medicine system of Ayurveda relates Autumn to the Vata dosha, which is the elements of ether (space) and air. Qualities associated with this are lightness, dry, brittle, movement, change. 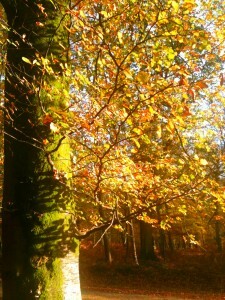 Think of the leaves on the tree changing colour, drying out, falling lightly to the floor, crunching under your feet. When our Vata energy is out of balance we can feel scattered, up in our heads, skin can be dry, stiff in the joints and we can experience excess wind or bloating. 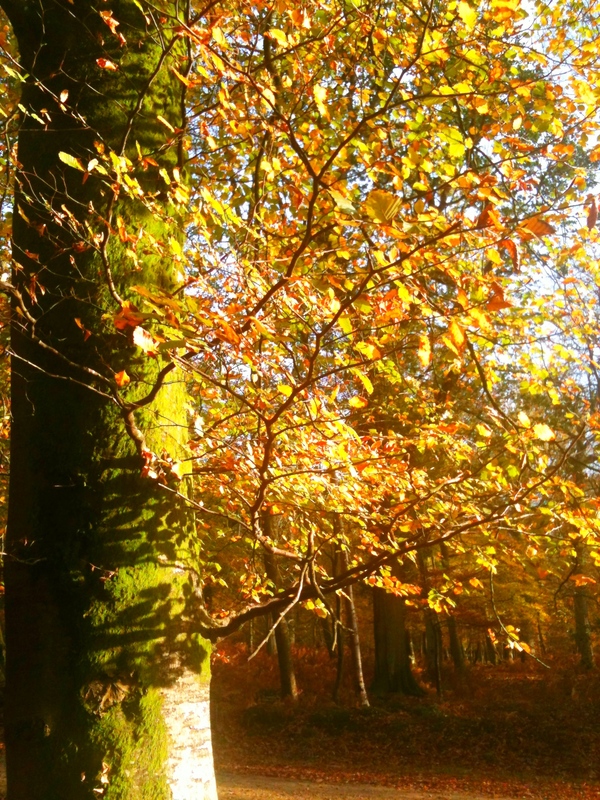 Autumn is also linked to the lungs which emotionally is related to feelings of grief and loss. Just like nature is letting go we may also experience this. If you are feeling like this allow it to come up, feel it and let it go once you are ready. Practicing loving kindness to yourself the whole way through. Do what ever you feel you need to do, trust your inner wisdom. Slowing down. Still practicing sun salutation but in a slow steady way. Utilise the deep yogic breathing to energise the lungs and to nourish you deeply. Vata energy collects around the lower tummy and hips so forward bends (like paschimotanansa and butterfly) and hip poses (like Pigeon/sleeping swan) are good to do. Help ground your energy by practicing standing poses like the Warriors and really focus on your connection to the earth. Sitting in Sukasana (easy sitting pose) imagine inhaling the earths energy up through your sitting bones to your heart centre and then exhaling letting go of anything you don’t need down into the ground. Balance your body and mind by practicing balances, even better go outside and do a tree pose under a tree! Cutting down (or out) raw fruit. Instead of morning raw juices switch to something warm (porridge/ stewed fruit) and nourishing. Drink warming herbal teas through out the day, personally I love the Yogi Tea range. Honour the seasons in nature and in you, we are all part of the same. It’s perfectly natural to be feeling a little tired, to feel like you want to stay in a bit more, to want to slow down. Listen to your body, trust what you need and do that. It’s when we push on regardless that our bodies start to react to force us to stop……it’s not a coincidence so many people get ill around Christmas time! Enjoy this beautiful change in season. This entry was posted in Yoga on October 22, 2015 by louise.